What an inspirational day! Learning alongside 19 other professionals who are also passionate about Forest School has been a wonderful experience and I have learnt so much. 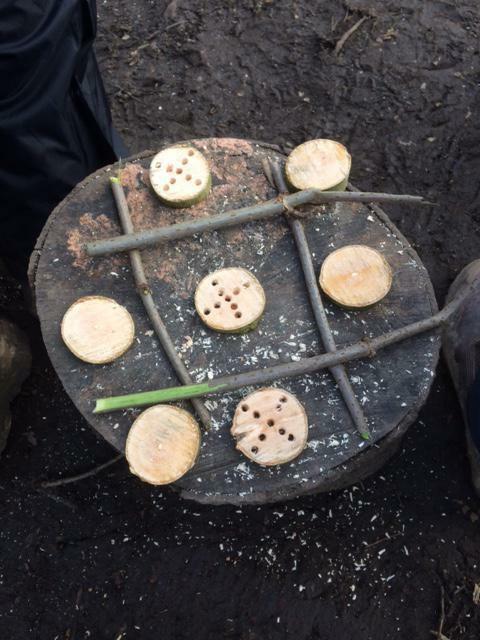 The highlights of my day included learning how to build an ‘upside-down’ fire and also working collaboratively, using our bow saw and palm drill skills, to create a game of noughts and crosses from wood. 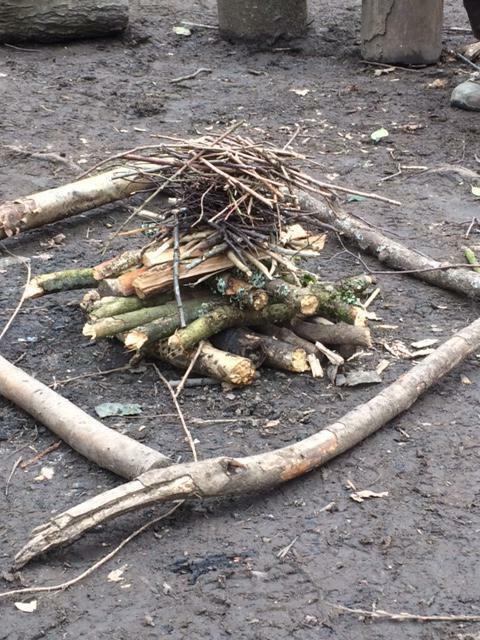 A theme running throughout day one was the philosophy behind Forest School. 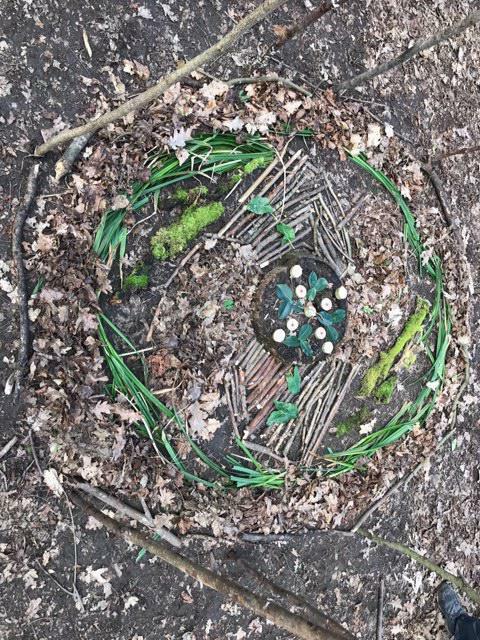 The need for regular sessions with the same group of children has got me thinking about the pure logistics of how we will organise Forest School at Hatchlands because I strongly believe that all of our Reception children need a Forest School experience each week. 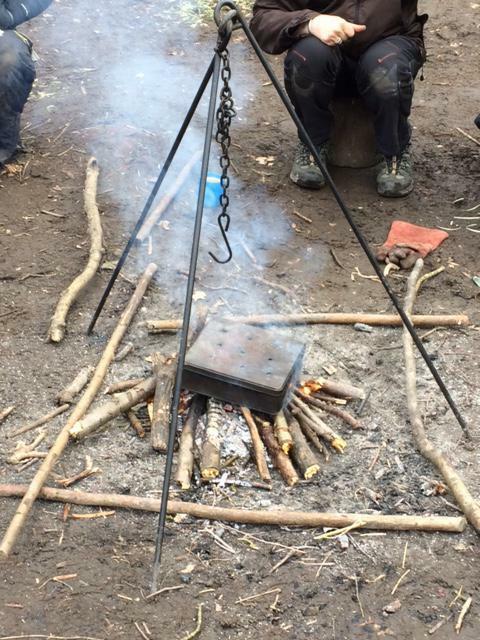 It has been fascinating discussing with my fellow students how they organise Forest School in their own setting. 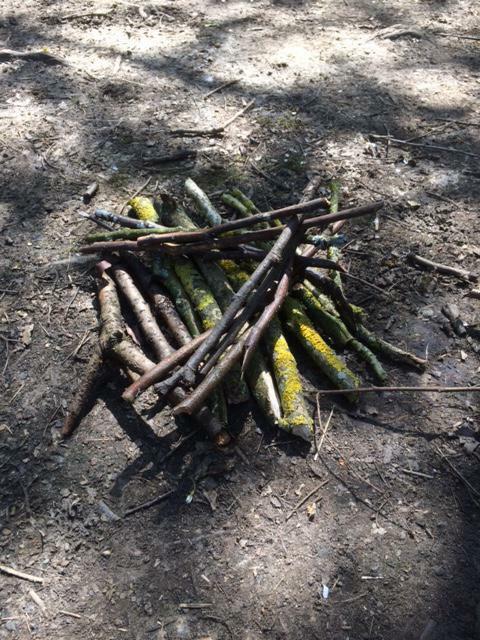 As a child I didn’t attend Cubs or Scouts so my practical skills certainly need some developing. There have been times today when I have been really challenged and have had to demonstrate our Hatchlands’ values to be able to succeed. I have definitely shown resilience when trying to get a spark to light a fire from a flint and steel! It really struck me today how important Forest School will be for supporting your children’s emotional well-being. Several activities that we took part in today focused on us getting into the flow state of complete concentration. 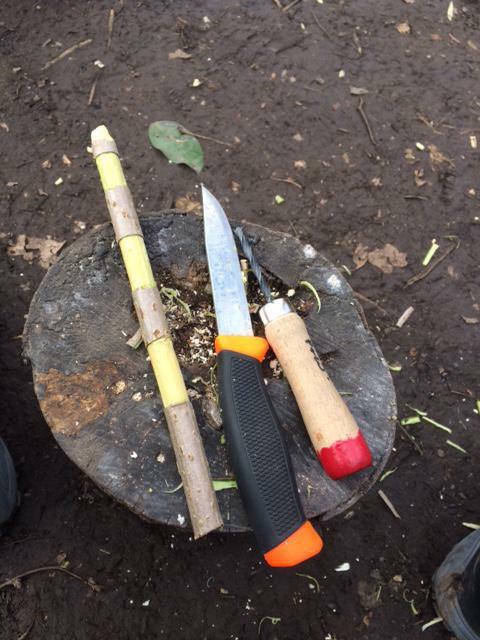 This was particularly evident when we were all whittling in order to make a charcoal pencil. 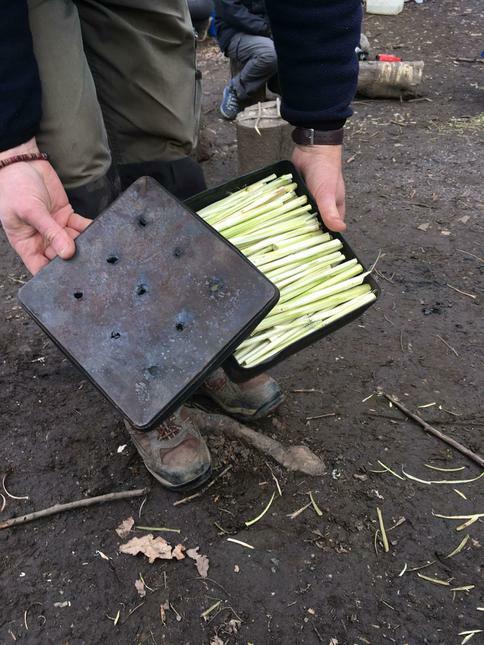 I had no idea that you can make charcoal by peeling the bark from willow and hazel twigs and then baking it in a biscuit tin over a fire. Following this, we cut a piece of Elder, remove some of the pith from the centre of the wood, carved a design on the outside and inserted our freshly baked charcoal. The end result was hugely satisfying and the process of creating it was so relaxing. 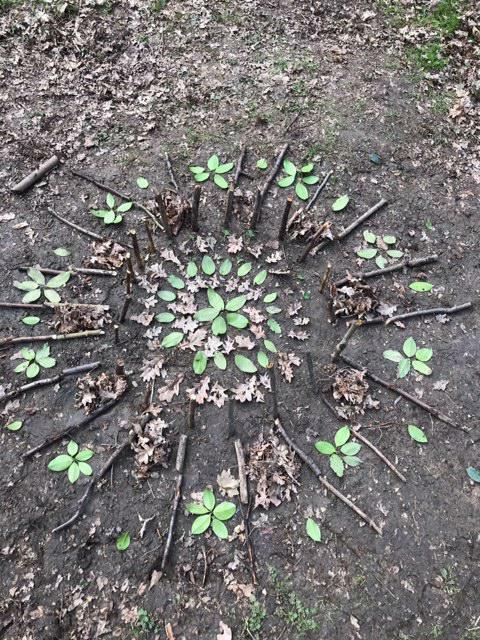 My other highlight from today was working in groups to create natural Mandala pictures. We used our imagination to create repeating patterns and then after 5 minutes had to move on to further develop the art work of another group. The pictures that were created were fantastic as you can see from the slideshow above. Day three of Forest School training was ecology day! The main focus for our learning was ensuring that we understand how to sustain or improve the quality of the woodland area in which we work. This is particularly relevant to Hatchlands where we have opportunities to plant and develop our Forest School area. My key learning from today is to reflect on which tree species would bring the most benefit to our site in terms of promoting wildlife. For example an Oak tree is associated with 284 different insect species whereas a Horse Chestnut is only associated with 4 different insect species. The highlight of my day was our walk around the beautiful nature reserve where we identified different trees and shrubs and learnt key features about each of them. I’m really looking forward to helping your children to learn how to recognise different trees and to understand how they support ecosystems, as well as how we can use their natural resources in our Forest School sessions. At Hatchlands, we are now at the stage where we are starting to design our Forest School area and to plan which additional trees, shrubs and hedging plants we would like to plant to develop our site. 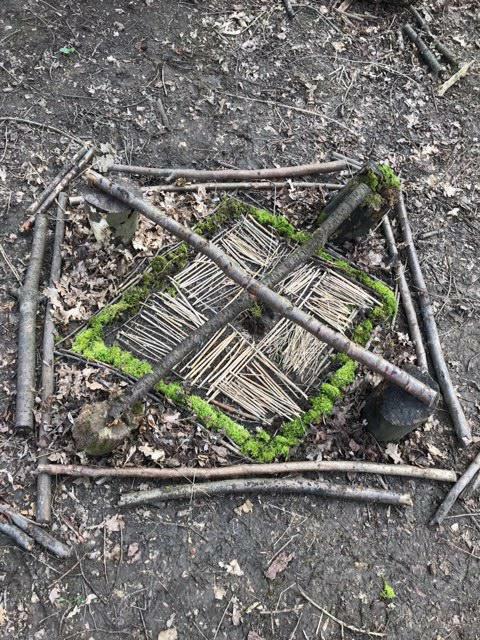 Day three of Forest School training has been hugely important to me in understanding how to get the most benefit from our site in order to ensure that your children are learning in an environment that will enable them to be challenged, but will also be a sanctuary for them in terms of their emotional wellbeing. 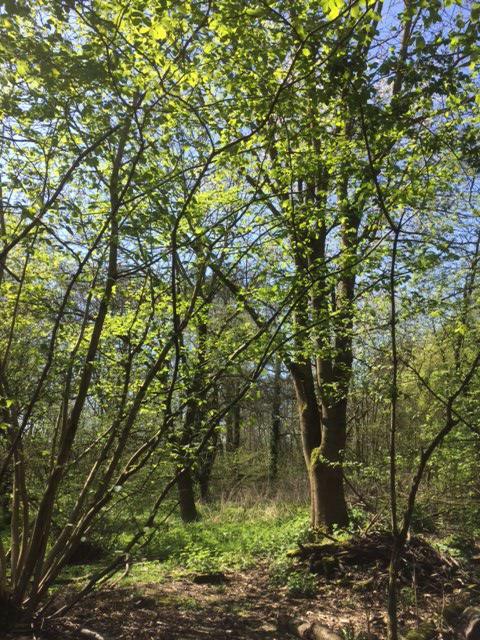 I know that my wellbeing was positively enhanced by working in the stunning environment that I have captured in the ‘woodland at springtime’ photograph.